← Time to take your Green thumb to the next level. So I told you last week about the first step in making our master bedroom an oasis and not just a catch all. It was just a small simple step but it gave me the drive I needed to start on the second part. I am the queen of starting and not finishing something, so I was amazed at my desire to get my room all put together. 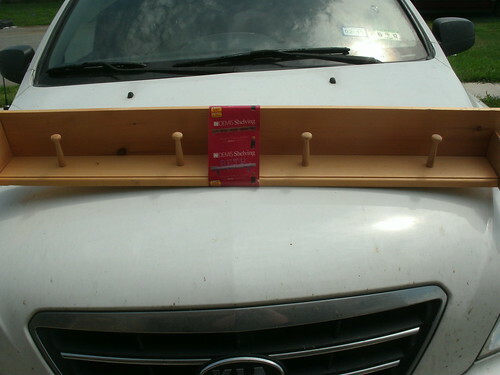 This time it was a shelf with hooks to hang scarves from and to place all those nick nacks people give you. I was lucky enough my Mama had one in her storage unit that she said that I could have and paint. So after some sanding, figuring out out the right brush, figuring out how to hang the posts. Wow the painting part was easy when I realized it didn’t have brackets to hang it with and I was going to have to go buy and then figure out how to put them on. Which I totally forgot to take a picture of my work there, to prove that I rocked the road block. I got those brackets installed and my awesome shelf up and all those nick nacks that had been down in my living room up on the shelf. If I do say so myself I love how it turned out. What is a recent roadblock you have over came that you are proud of? Any recent road block. This entry was posted in Bobbi Janay, decor, home and tagged Bedroom, Decor, DIY, Home. Bookmark the permalink. Oh wow that looks amazing! I’ve recently hung and put out a bunch of pictures and nick nacks that have been in storage for too long. They make me smile every time I see them. It really is the little things. Love the color..it really pops against the wall! 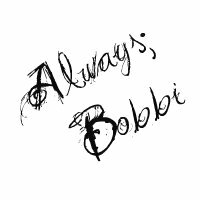 Oh Bobbi, it’s gorgeous! 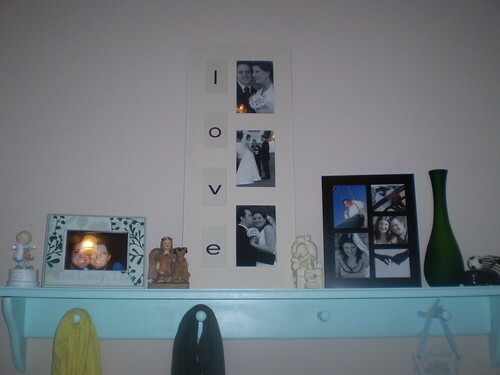 I love that shade of blue and I also love the way you decorated it with pictures and knickknacks, too cute!